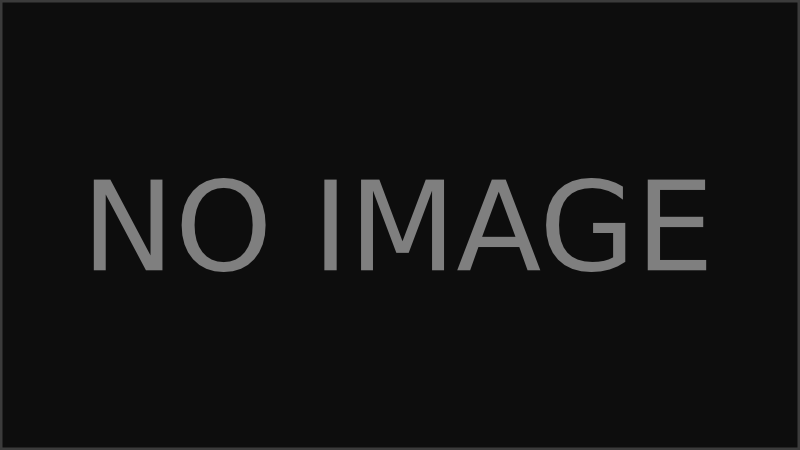 Added on 8 April 2019 by ai_enabled. First of all, we want to thank everyone who purchased the game and we are very happy with how well the game was received. Most reviews are incredibly positive! We're also aware that for some players the initial experience in the game can be a bit frustrating with unrestricted PvP. There are very generous people who share their items and experience with new players, but there are also some bad apples, who want nothing else, but to grief other people. This is certainly something that we want to address as soon as we can. So we're currently working on a patch to provide some protection for the new players who just joined the server. 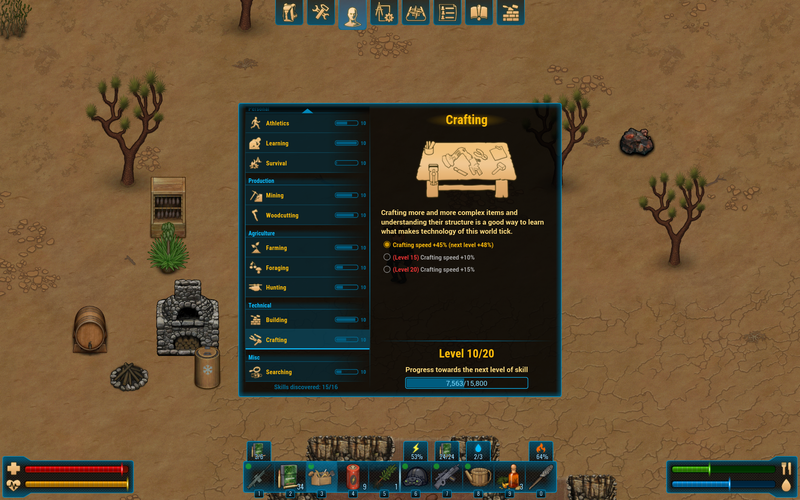 At least to provide enough time for new players to finish the first quests, learn the basics of the game and build a small house. Though this protection will be optional so you will be able to turn it off if you’d rather jump straight into action. Naturally, we're also working on PvP rebalancing—for release we had to nerf the bombs quite a bit to allow a bit more peaceful gameplay, but when we will have separate PvE server we will be able to revert this change. Though, unrestricted raiding has its own drawbacks, so we are considering many other balancing changes and especially some new ideas to address offline raiding as we are very much unhappy with the idea in its entirety. PvP should be more brutal, but also much more fair—giving an opportunity for you to defend yourself and a fair challenge and great reward for an attacker. We also need to communicate one important aspect of the Early Access—the concept of server wipes as it was a surprise to a number of people. So, here is the explanation that we owe you. The practice of regular server wipes is pretty normal for multiplayer survival games in early access and wipes happen regularly in those games to give players a new challenge, level the playing field as well as test new features that are introduced in each update. And we are also following the same practice with our wipes. Naturally, we don’t want to randomly wipe the servers without prior notice and a reason. In fact, we only wipe servers when we release a new major update. This is also required due to compatibility reasons. The game is still in a very active stage of development, so many changes that we introduce break compatibility across version, leaving us no choice but to wipe the servers. But then again, based on our experience during our year of public alpha testing most people actually look forward to those wipes as it gives them an opportunity to start anew, in a fresh economy and with new features after each update! So, we will keep this practice for the time being, at least for the next several months. So, if you’d like to play without ever restarting—you can either run your custom server or join one of the available community servers that are dedicated towards long term play. Also, you will always be able to run older versions of the game and keep playing on any version you’d like. Added on 3 April 2019 by Lurler. 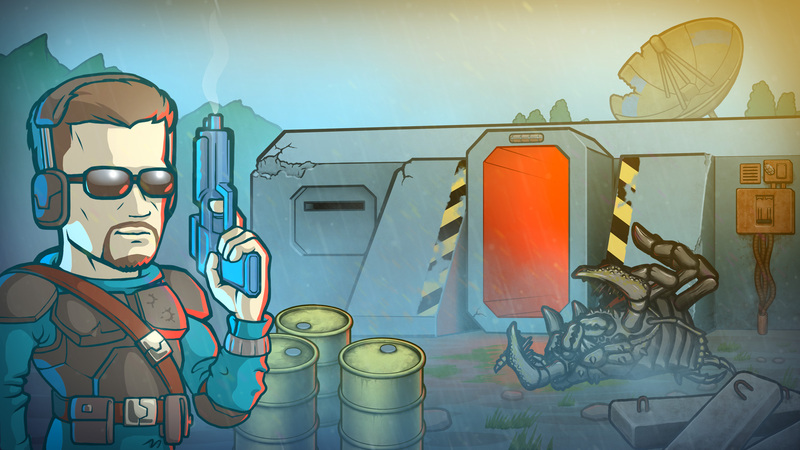 Today we are happy to announce that CryoFall is finally released on Steam Early Access! It has been a long journey to this point, but it has finally happened! The game is now available worldwide for everyone to purchase and play. With this release we are also launching many new servers to cover all major regions and offering the game in many languages. We hope that with your continued help and support—CryoFall reaches success on Steam helping us turn it into a long-running project that we can support with many interesting updates for a long time, each one making the game even better than it already is. We also want to thank everyone who helped us get here. It was only possible with the great support of our community for the past year that CryoFall was in open alpha. It really helped us shape the game into what it is today. CryoFall may look simple at first glance, but it is an incredibly complex game and we can thank our community for that! 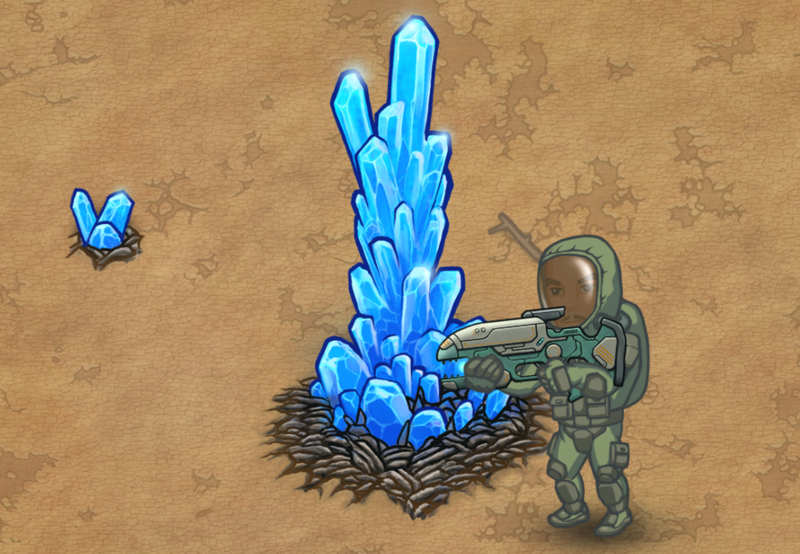 You can follow our future plans on CryoFall roadmap. But right now the most important part is the launch! Watch our new trailer and head over to CryoFall Steam page to grab your copy to finally enjoy this game in its full glory! Are you a member of the press or a youtuber/streamer? Feel free to get in touch with us to receive your press copy of the game. Added on 14 March 2019 by Lurler. Today we have really important news for CryoFall. We are happy to announce our partnership with Daedalic Entertainment who will be publishing the game. We hope that with their reach and experience in the industry we can ensure a successful launch for CryoFall! Not only that, but thanks to their support we will be able to offer CryoFall in a number of different languages helping the game reach much wider audience! We are also happy to announce the release date for CryoFall on Steam – the game will become available in Early Access on April 3rd, 2019! Make sure you add it to your wishlist and don’t miss the launch! With the additional feedback from players on Steam we are hoping to accelerate further development and bring even bigger updates as we continued to release up until now while the game was in open alpha state. We are just getting started! CryoFall: Modding Update (A18) is out! Added on 23 January 2019 by Lurler. Wow, our last blogpost was in November. This is probably the biggest delay between two versions. But there is a good reason for it! As you might have already seen from the title of this post - CryoFall now officially and fully supports modding! You can now download our custom Visual Studio 2017 extension and start hacking away! Not to mention - the game is 100% opensource which means you can see how any part of the game works under the hood and replicate or change it in your mod. It was certainly possible before, but now we've made some necessary improvements to ensure you can safely and easily install mods and develop your own with all the necessary tools. This update also saw the long awaited scripting API improvements. We're also providing the CryoFall Editor now so you can more easily create and test your mods without having to run a full server and also create your own custom maps. It is the same map editor we use internally so it has all of the features available to us. The Game Launcher was also updated to provide all the necessary features such as one-click installation of mods (delivered as .mpk (mod pack) files). There are still some things we would like to add in the near future such as proper documentation and API reference, tutorials, mod samples, possibly even a modding portal, so there's certainly a lot more to come regarding modding in the future! In the mean time we hope to see some interesting content from you! Environmental Psi and Heat status effects. New tier of defensive structures. Multitude of new weapons & items such as Laser rapier (energy based melee weapon), many new ammo types (12ga buck shot, 12ga salt charge, 10mm blank ammo, etc. ), new resonance bomb (able to penetrate many layers of walls), new medicine, generic items, etc. Pragmium armor (and new T4 Defense technology group). New quests & changes to existing quests. New cybernetic implant: Healing gland (grants improved regeneration). Oil and Lithium sources now deplete and respawn in the world. This prevents any single group from controlling them indefinitely. They can also be destroyed with explosives. And much more! See full patchnotes here. 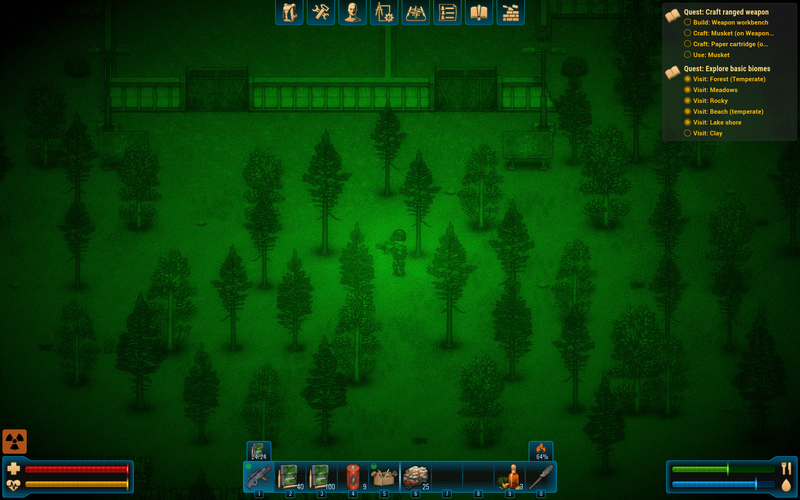 There are also many nice visual improvements, such as animated grass and plants you can see below. We are looking forward to your YouTube videos and specifically let's plays as well as Twitch streams! CryoFall: Pragmium Update (A17) is out! Added on 9 November 2018 by Lurler. And we are back with the long awaited A17 update! We are calling it "Pragmium Update" named after the most important mineral it introduces. But let's not get ahead of ourselves here and just go over some of the major features one by one. Let's start with the biggest addition this time - the implant system! You can unlock new technology group called "Cybernetics" and with it - access to the automated medical station which allows you to install cybernetic implants. Implants can be crafted from the new rare mineral called Pragmium. Each implant has a unique funcion from simple night vision (artificial retina) to ATP energy extractor which you can use to power your devices. And that leads us to the second major addition - energy system! Now you can equip powerbanks that store energy. That energy could be used to power a number of different devices and items. But you will probably be interested to know that in addition to devices there's a whole separate weapon class now - energy weapons. You can unlock this T4 group and gains access to several energy weapons. But changes in A17 are not limited to just end-game additions of course. We have also completely changed how technology trees work and now all tech tree nodes have unique icons to help you make sense of stuff you unlock. This also enabled us to significantly rework the entire technology part of the game and introduce many new items and recipes. In fact - total number of unlockable technologies increased from 10,000 worth of LP (learning points) to more than 16,000! 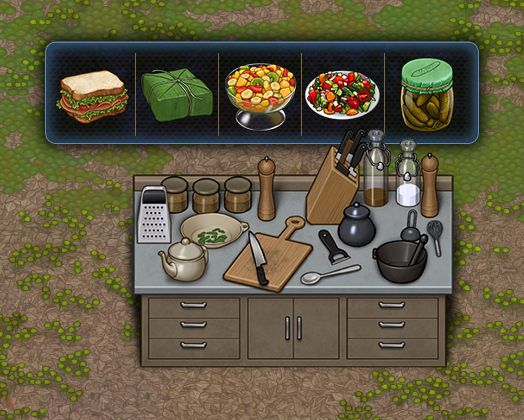 Example of that is the new reworked cooking system with a new cooking table specifically targeted to lower tier recipes, which you can see above. Now, it is probably a good idea to show the actual thing - Pragmium mineral! Naturally, there are hundreds of other changes big and small as well! You can find detailed patchnotes on the forums as usual. And most importantly - don't forget to join our Discord channel to stay informated about all of the important changes and events. We post all upcoming features there every single day and provide access to experimental updates long before public releases. Anyway, we hope to see you in the game now! CryoFall: Tropical Update (A16) is out! Added on 28 September 2018 by Lurler. And we are back with another CryoFall update! Anyway, without further ado let's see what's new this time! The biggest change is the addition of a completely new biome to the map. Now there are two large tropical areas in the south of the continent. They feature completely new vegetation and animals and should serve as a great starting area for new players thanks to abundance of food and less dangerous predators. Central area of the map has been significantly expanded as well and the world received many other improvements in general. Another major update is completely reworked wall system! It has been simplified significantly and now tile atlases just consist of simple fixed shapes. It makes it much easier to add new wall types both for us and for modders. And in fact, this update features a new wall tier - bricks. 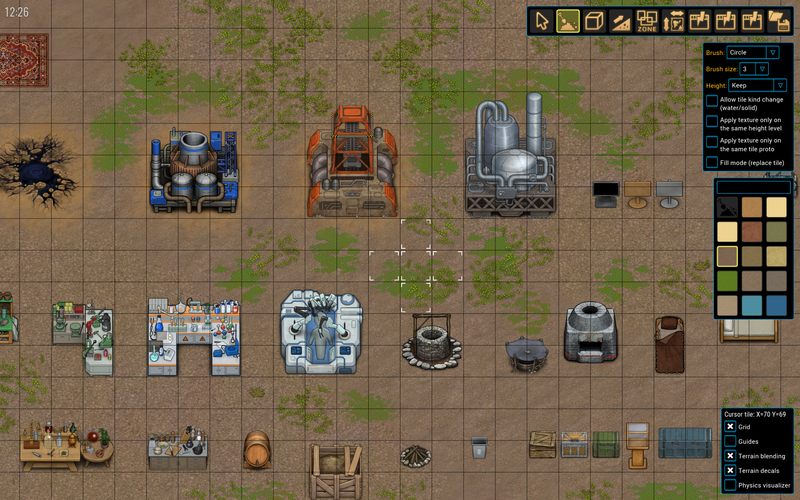 There are many other improvements and additions, such as: structure decay (to remove abandoned bases that were littering the servers previously), blueprint deconstruction, many new plants, items, animals and structures, new technology groups and nodes, new cooking recipes, world map icons for important resources (oil and lithium), changes to skill system, improved land claim system (now it is possible to intersect their areas if you are the owner and other changes), "unstuck" feature and hundred of other changes and additions! You can find detailed list of changes on our forums as usual! We are hoping to see you in the game with this update as well! And stay tuned for the next update, A17 is going to be mindblowing! Added on 27 August 2018 by Lurler. Just a short one this time! While we are still working on the next version and preparing everything for release on Steam we decided to share an interesting informational video about the game made by Kane Hart. As well as an short let's play by Wattles. CryoFall: Explosive Update (A15) is out! Added on 6 August 2018 by Lurler. It's been quite some time since our last post! But we been working hard on the biggest update to CryoFall in a while! With A15 "Explosive Update" we feel the game has finally reached a stable state in all regards and we are happy for people to play it without worrying about something being unfinished or not polished enough! This update introduces several massive changes main of which is new explosives system! 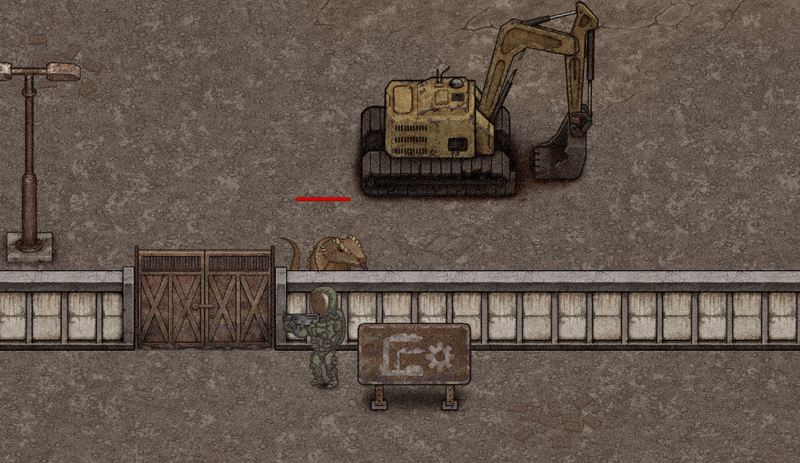 With this we can finally start introducing higher tier walls such as bricks, concrete, reinforced, etc. all of which will be added in the next version as well as other late game elements. Another huge update is the introduction of the boreal biome to the map. Now you can visit northern regions and see completely different flora and fauna. As always, you can find the detailed list of changes for this version on the forums. And don't forget to leave your comments. We are hoping to see you in the game! CryoFall Alpha 14 is out! Added on 25 June 2018 by Lurler. And another update is finished and deployed! This past month we were still working on some technical tasks in the background, so there isn't as much new content as in some previous updates, but thankfully we are mostly done with that and the next update should be rather substantial again. Anyway, what's new this time? The primary change is complete reworking of the quest system - it now includes more than 30 quests ranging from very simple to something you would have to put quite a bit of effort towards. We are quite happy how this system turned out to be, but there are still a few things we would like to do. Another thing is the inclusion of miner helmet. At first it may not seem like much, but it signifies substantial improvement of the lighting system. 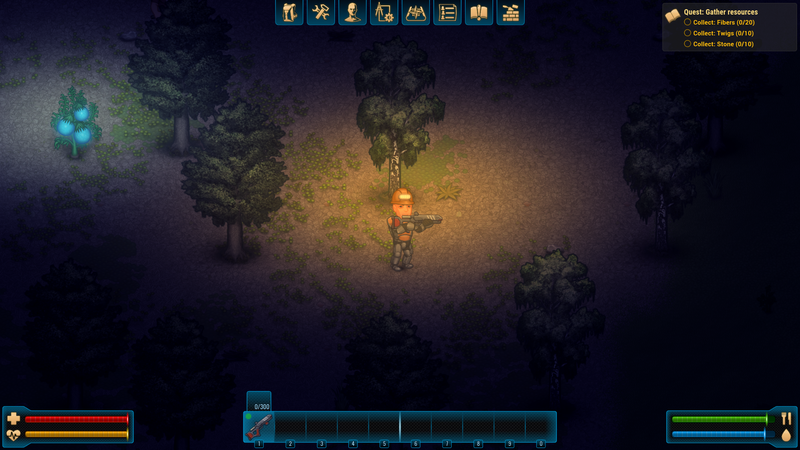 It is now possible to include things like night vision goggles and other things! Another major change is complete rebalancing of the weapon system. Now there is more reason to use different ammo as it now properly does what it's supposed to do (such as armor piercing bullets actually being better than normal bullets against armor). As always you can see the detailed list of changes on the forums. CryoFall Alpha 13 is out! Added on 1 June 2018 by Lurler. 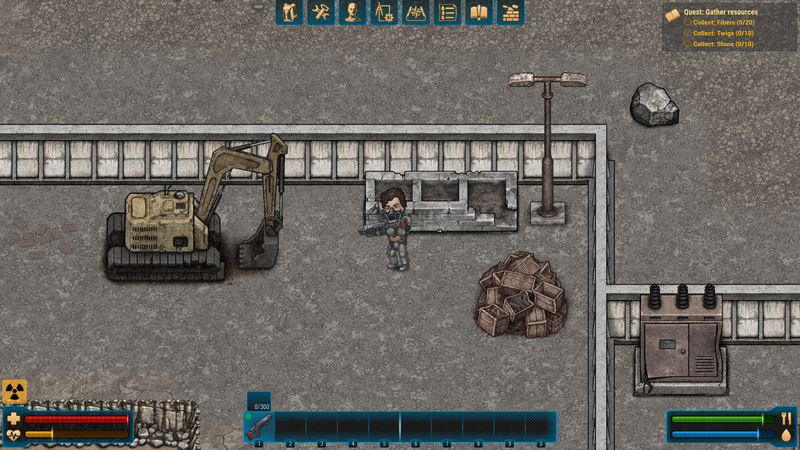 We are continuing with CryoFall development and the new version is finally ready. This time we have some major changes, the primary of which is the new quest system! For the time being its primary purpose is to serve as a kind of tutorial to introduce new players to the game and offer some goals to aim towards in the beginning, but with each subsequent update we are planning to add even more interesting and challenging tasks. 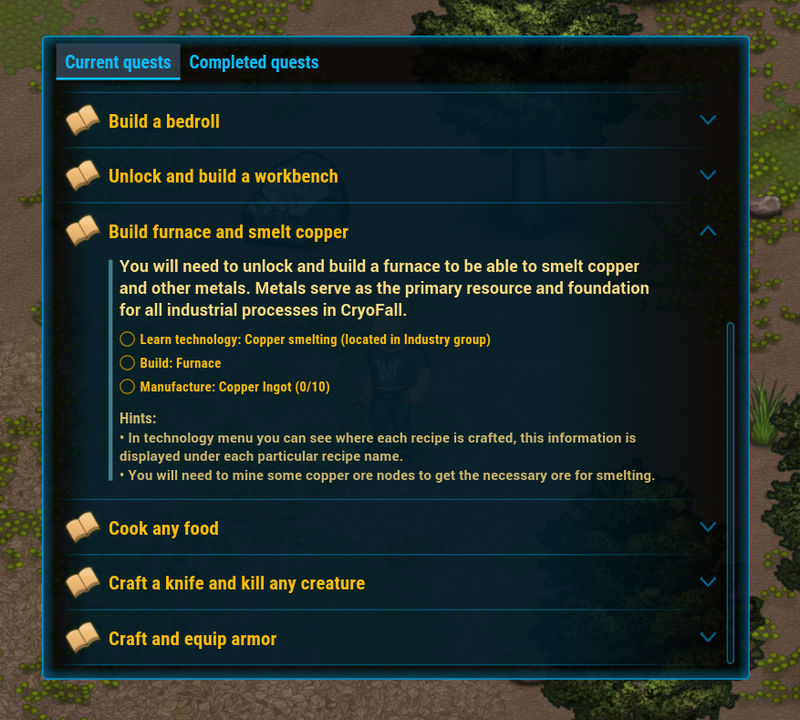 Another large update is complete overhaul of points of interests (ruins, etc.) with tiered approach. Lower tiers would be perfectly suitable to all new players, even without any equipment, but more difficult areas will require substantial investment into a good gear and weapons to be able to clear them. This should offer interesting progression system as well. Another major change is the improvements to general usability and accessibility, for example you can now use items directly from inventory or by using keyboard shortcuts. Things like that don't change much, but certainly make any game more user friendly. This of course goes along with our usual content expansion. 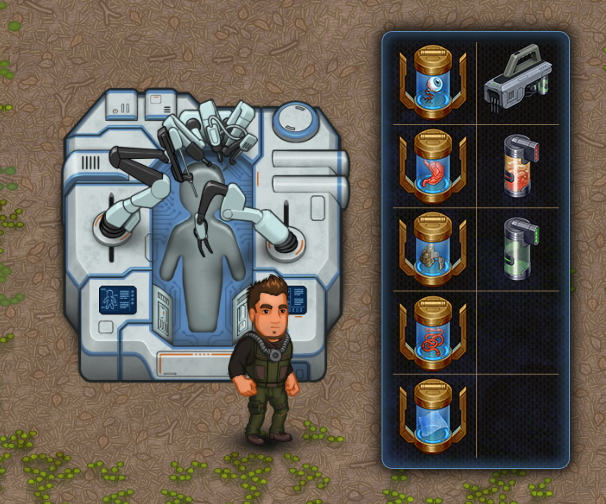 Some new items include respirator (early game environmental protection gear), new decorations, saplings (and ability to plant trees), new fridge (evaporative type), new water type - lake (and ability to draw water from water bodies), new recipes, new technologies and many more! You can find detailed list of changes for this update on our forums. And don't forget to join our Discord server! Added on 9 May 2018 by Lurler. Largest CryoFall update is finally live now! The game is finally ready to fully enter public alpha and ready for large number of people to join and try the game! With this CryoFall is finally launched publicly! 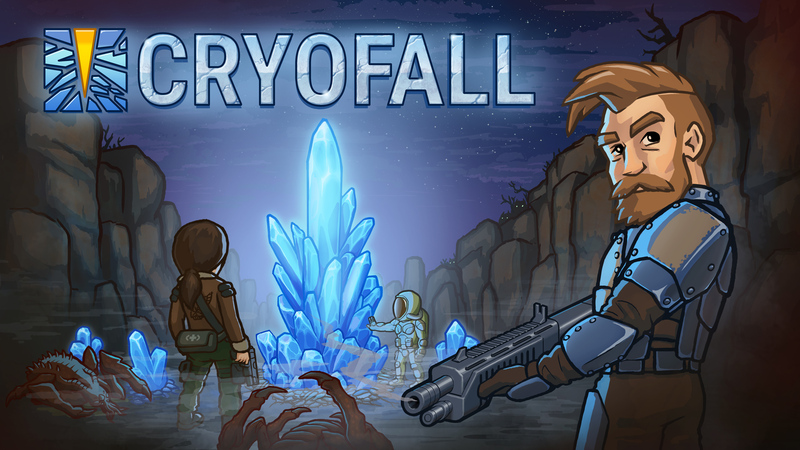 And not only that, but CryoFall is available completely for free during the initial alpha period! We would like everybody to give it a try without any strings attached, voice their opinions and participate in its development as much as possible for the next several months. Yes, we plan keep it completely free for the time being! We will also starting promotional activities this month, which means there should be more players now compared to closed alpha test. We are also looking forward to your YouTube videos and specifically Let's plays as they allow us to examine just HOW exactly you play and make adjustments to the game based on that knowledge. So, even if you have a tiny channel with a few subscribers it will still be useful to us! Naturally, you can also preorder CryoFall if you would like to show your support and we would very much appreciate this gesture! Preorders are available in our official store. CryoFall Deluxe Edition also comes with additional features and content. There is also no need for a demo, as you can just play it as much as you want and then decide for yourself if it's worth the price. Additionally, we will keep the price much lower during this free alpha period to make barrier to entry lower. Now that the game is finally out and publicly available - we will keep working with redoubled effort to bring new content at a steady pace and see every planned feature implemented! 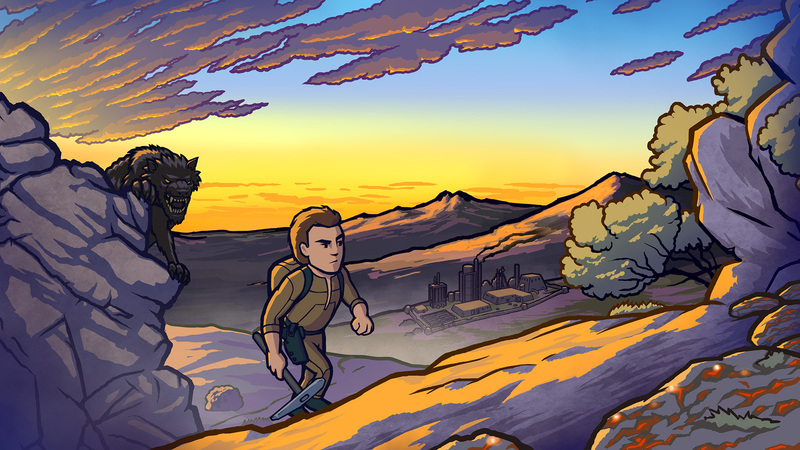 From today onwards we will return to posting our regular development updates on CryoFall in our blog, we will also try to align them with each version release. And finally, you can check our detailed list of changes for this release since closed alpha. Added on 6 March 2018 by Lurler. This time we have several really good news lined up! First up, to continue from the last week - we are practically done with all the technical backend improvements mentioned before. 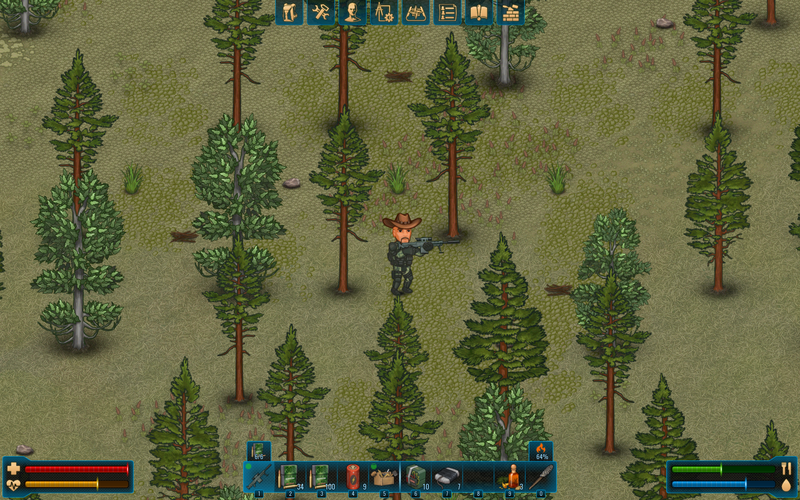 It enables us to finally release CryoFall and new version of VoidExpanse, among other things. And VoidExpanse is exactly the topic of today's blogpost! Video setting improvements and compatibilities with Ultra HD and 4k displays. Large expansion of modding and scripting capabilities as requested by people who are modding VoidExpanse. You can now create devices to interact with space objects (such as debris), and a lot of other API methods. You can find the complete list of changes of here. But that's not all of course! We've also updated our AtomicTorch Game Launcher so that it can be conveniently used with CryoFall and all of our previous games. You can download it right now. We will see you in a few days with a new blogpost! Stay tuned! Added on 26 February 2018 by Lurler. 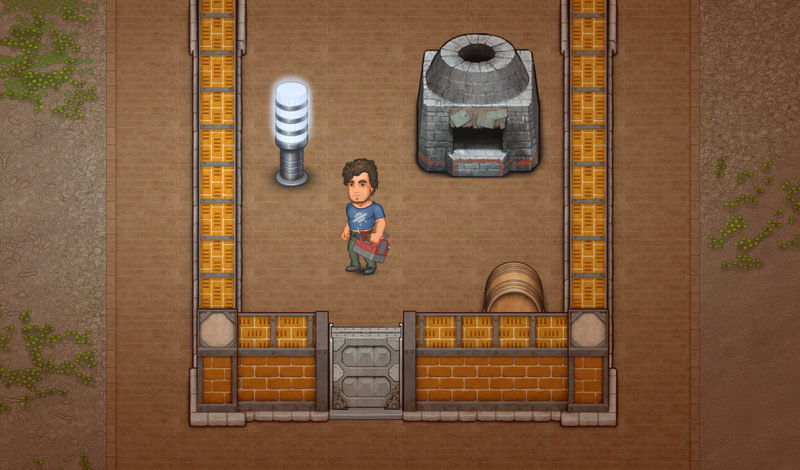 It's been awhile since we last posted an update on the progress of CryoFall development. That's because we were making the game ready for the open alpha. And today we're going to make several pleasant announcements. So, let's begin! First of all, the game is practically ready for the open alpha, we have completed everything that we wanted to finish before public release. There are of course things that would need further improvements, but we will work on them during the Alpha stage, when you'll provide us with feedback on those features. Bottom line is - the game is now ready! Secondly, we are now working on our backend system and master server. And it, unfortunately, takes a bit more time than we would have liked. Still, good news is that all of our previous games will benefit from this update as well, including VoidExpanse. Plus, we are also updating VoidExpanse with all new bugfixes and improvements made over the course of several months based on your feedback and reports. We're also providing our modders with extended Modding API. Lastly, and most importantly, we want to reiterate that during the open alpha stage, CryoFall will be fully accessible and available for everyone for Free on our website! We will soon publish a separate blog entry, explaining how you can download the CryoFall Alpha client and connect to one of our servers. Thank you for following us and stay tuned for the updates! Added on 16 January 2018 by Lurler. CryoFall open alpha is approaching and we're making final preparations! We've decided to make the game completely free during the initial soft-launch period to gather player's feedback and continue improving the game before the release! So, today we'd like to talk about some very interesting technical solutions that we've just finished implementing for the game backend and specifically - cloud game servers. As you probably know, many online and multiplayer games quite often experience various issues on launch such as not being able to secure enough server resources (should there be too many players), latency bottlenecks, long waiting lists, etc. This mostly stems from the lack of ability to scale server infrastructure quickly to meet demand and management difficulties. Naturally, we are a much smaller team and it is unlikely that we will see ten million players on launch, still, being a multiplayer game it is very important for us to be able to scale our servers easily. Consequently, doing it manually is simply out of the question. Our approach for dealing with this problem is to use Docker containers and .NET Core running on cloud servers provided by Vultr! How does it work? First and most important point is that we created a completely automated management solution that allows us to quickly deploy and manage any number of cloud server instances. Secondly, this will allow us to avoid any latency-related issues as well, as we can use cloud servers specifically from the regions where our players are actually located to provide the best connection speed and quality. And it took just a few minutes to deploy! What's more, in the future this system will allow us to add player-owned servers for a very reasonable price - for those of you who might be interested to run your own world. We will manage the servers for you and provide technical support - including automatic updates and scheduled maintenance and backups to ensure the best experience. Naturally, you will be able to host any servers yourself too, even on your home computer. For the soft-launch we will run only a couple of servers, most likely in North America. But from there we will be gradually increasing their number with the growth of the community as needed. 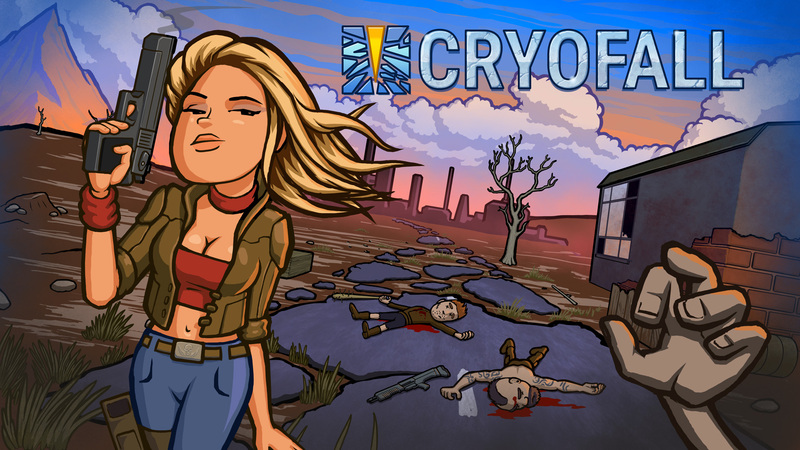 We were hoping to soft-launch CryoFall in January, but it looks like we will have to push it to February. There's still a lot of things to prepare for launch. Anyway, stay tuned for more news and don't forget to join our forums and follow us on the usual social media: Facebook, Twitter, Reddit for all the important updates regarding launch! Added on 21 December 2017 by Lurler. 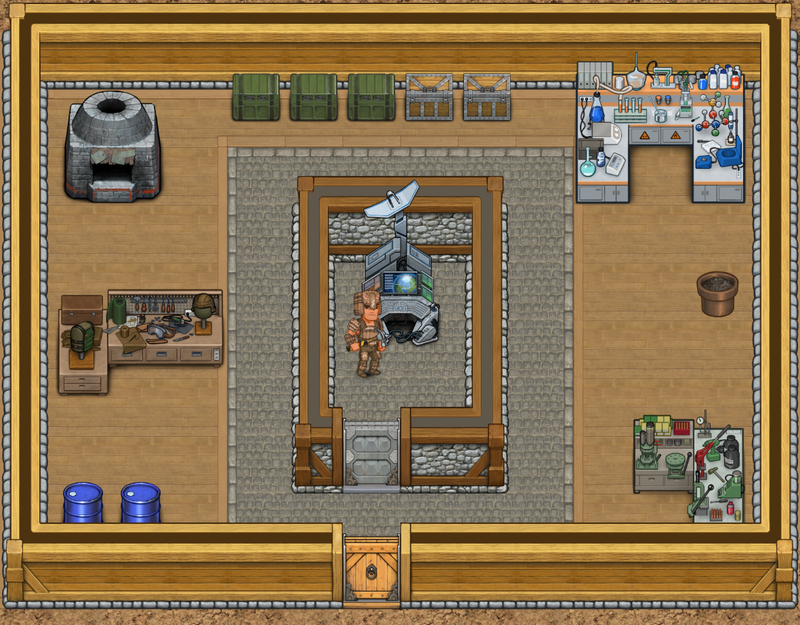 Friends, this week we've finally completed our work on a new and very important mechanic of land ownership in CryoFall. As many of you know land claims or "base ownership" mechanics in other games help players control a certain territory on a map or a particular building to create a stable dwelling there. Usually, land claims also allow construction of advanced buildings and give you an opportunity to protect your loot behind solid walls. Basically, land claims are used for base ownership. This is the most basic effect that land claims offer in CryoFall. There's much more to it, however. In the very beginning you will have a rather small land claim which can function as a core of your base, but with its continuous upgrades and base expansion it will allow you to control larger and larger territory around it. It ensures that no other players can build anything in your claimed zone or deconstruct any of your existing buildings. As long as your land claim is there you can be sure that your base is protected from other players. Of course, if they breach your defenses and walls and actually get to the land claim they can destroy it and with it remove the protected status from the entire base. It is absolutely essential to ensure that your landclaim is well protected. Now, this all sounds good and all, but what if you are not online and some other players are snooping around your base with not the most friendly intentions in mind? We wanted to avoid situations of complete territory loss just because someone needed to finally get some sleep. That's why there's a "damaged" state for the land claim structure. If someone damaged your land claim significantly enough it won't be completely destroyed at once, instead there will be a time window when you can repair it and restore its full protection (or move you stuff away from such unfriendly neighbors). This protection timeout depends on the upgrade level of the land claim and increases with each level. Of course, you can be the sole owner of everything that's built on the claimed territory, but you will also be able to manage permissions and allow your friends to interact with the objects there. There's a list of owners that you can manage for each land claim. We believe that land claims in CryoFall have an incredible promise - groups of players can create cities and small towns, with walls to protect the land and a lot of good stuff hidden inside from the outside world, so that those, who prefer to take, rather than build, could have some fun as well (and by fun we mean raiding). Cities and isolated dwellings will further trade between the towns, shuttles will need protection and mercenaries to defend the cargo. 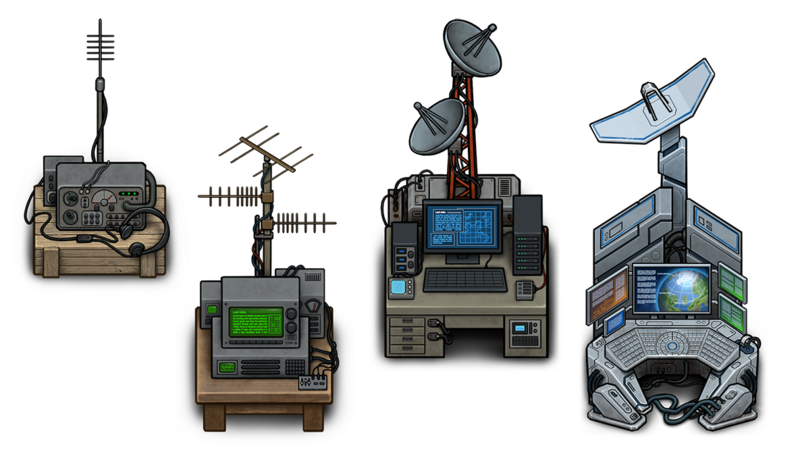 And all of this will make the world of CryoFall even more immersive! Anyways, that's it for today, soon you will able to try land claims on your own! Subscribe and stay tuned for the updates in our blog! Don't forget, you can also follow our development roadmap here. Log in to subscribe to our newsletters. © 2013-2019 AtomicTorch Studio Pte. Ltd. All rights reserved.